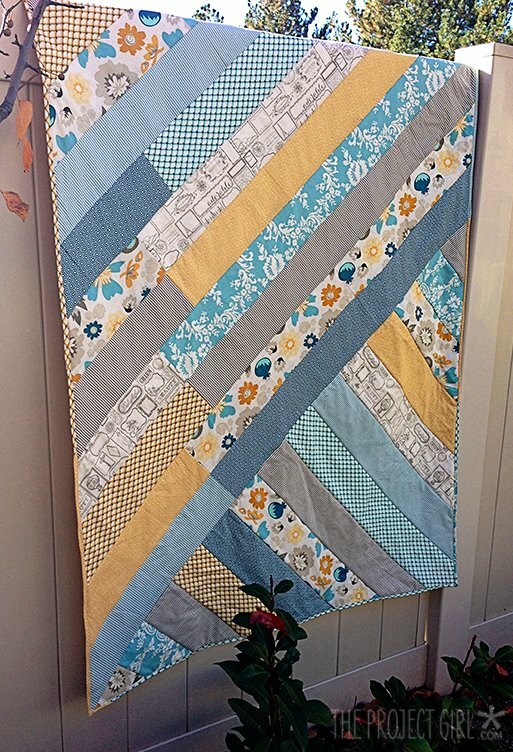 "Strip quilting with the Quilt As You Go method is pretty much the only way I can quilt these days. It’s such a quick and easy way to make a simple quilt, and be done with it in a matter of hours. I call it my 2-nap quilt, as I really can only quilt when my boys are napping, and a strip quilt takes about 2 nap times to get done start to finish. And lets be honest… I haven’t had much time to practice extensive quilting techniques, so this is pretty much as good as it gets for me right now. "Here’s a quick tutorial on my diagonal strip quilt, it’s a little bit more tricky than a standard strip quilt. First step is super easy – I cut 5″ strips out of all of my fabrics – You can do this with any size strip – a jelly roll would save you time on the cutting, but take more time on the sewing. I like the 5″ because I can cut all the left-over strips in half and use the 2.5″ for binding strips. 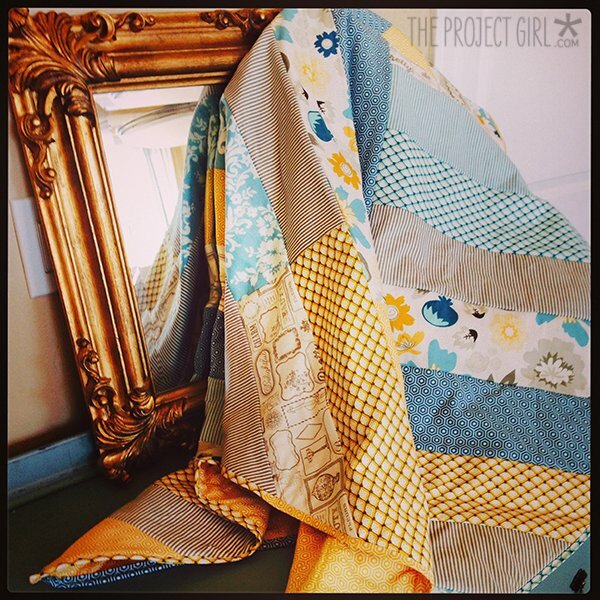 "All the fabric is from my new line with Riley Blake Fabric - Lost & Found 2." Be sure to visit Jen's Free Downloads Page, which has a lot of projects in different categories for you!